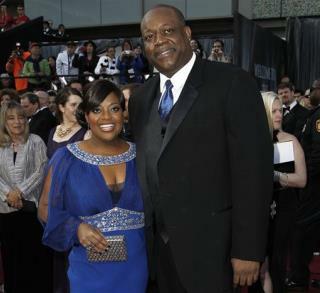 (Newser) – Sherri Shepherd must still pay child support to her ex-husband for a one-and-a-half-year-old boy her lawyer says Shepherd has never met, after the Pennsylvania Supreme Court declined Tuesday to hear her case. An appeals court ruled in November that Shepherd is the legal mother of the child, named LJ, despite the fact that she has no genetic connection to him, People reports. Shepherd and her ex, Lamar Sally, had the baby—conceived using Sally's sperm and a donor egg—via a surrogate who delivered in August 2014, after the couple had separated. Sally is raising the boy. Sad part is the child loses as it will never know it's genetic mother as it was a donated egg and husband's sperm carried to term by another woman. She actually had nothing to do with the birth of the child except to go along with the plan. By doing the plan she accepted the responsibility of the child and rightly should pay for it's needs, if she didn't agree to it she would be free of responsibility but how could it be proved. Better headline, "Baby has Mother that is Somehow a Celebrity"
I wonder if the maternal mother has any rights here since the contractual mother abandoned this poor child. This poor child has a hard road ahead emotionally, even with rich (and self-serving) parents.